So, what’s the “hippest” city in the U.S.? Obviously this question could produce a lot of conflicting opinions. Based on a recent trip we took to the wonderfully diverse state of Oregon, our choice for hippest would be the “City of Roses,” Portland. Why Portland, you ask? Start with the city’s cutting-edge food and drink scene with its wealth of great restaurants, cafes, microbreweries and brew pubs, wineries and wine bars, coffee roasters, distilleries, and an ever-growing menagerie of food carts. 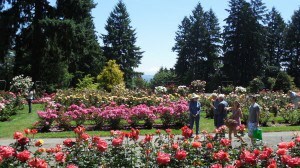 Add to this the fact that Portland is probably one of the most “outdoor” cities in the U.S. With an abundance of green space in its many parks and gardens, beautiful natural landscapes, and nearly year-round temperate weather, Portlanders are an exercised-driven population of bikers, hikers, runners, and kayakers. And the city’s unofficial motto, “Keep Portland Weird,” has attracted a populace driven by creativity and an anything-goes attitude that has produced a thriving arts scene replete with unique bookstores, record shops, music venues, and body art studios. So, with such a “hip” reputation and accolades like “The city has emerged as the capital of West Coast urban cool,” as stated by The New York Times, Portland became a “must-see” city for us. Since this was our first time in Portland, we got an introduction to the city the same way we often do in a new city – take a sightseeing tour bus. In Portland we took the Big Pink Portland Trolley Tour (operated by Gray Line). 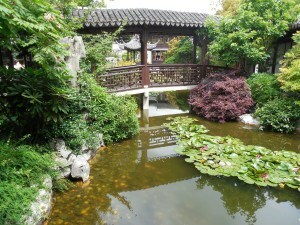 With Hop-On/Hop-Off service, we were able to get a very good orientation of the city as well as visits to some of Portland’s most popular attractions like the International Rose Test Garden (the oldest such garden in the nation and the inspiration for the aforementioned nickname) and the Portland Japanese Garden, both located in Washington Park. 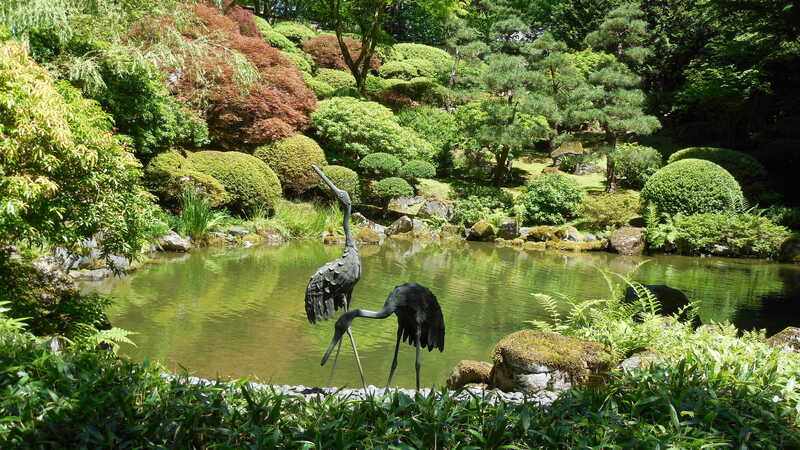 We were lucky enough to have a bright, sunny day when we walked through these stunning gardens and were afforded an awesome view of snow-capped Mt. Hood some 60 miles east. The Big Pink Trolley Tour gave us a great introduction to the various neighborhoods of Portland, many of which would we explore over the next few days by car, by bike (biking is a Portland obsession) and on foot. It is Portland’s street scene – its vibrant, diverse neighborhoods – that characterize Portland and give it its soul. 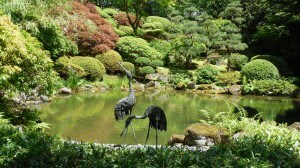 Sure Portland has wonderful museums like the Portland Art Museum and the Oregon Museum of Science and Industry (OMSI); a great zoo; lush, green parks like Mt. 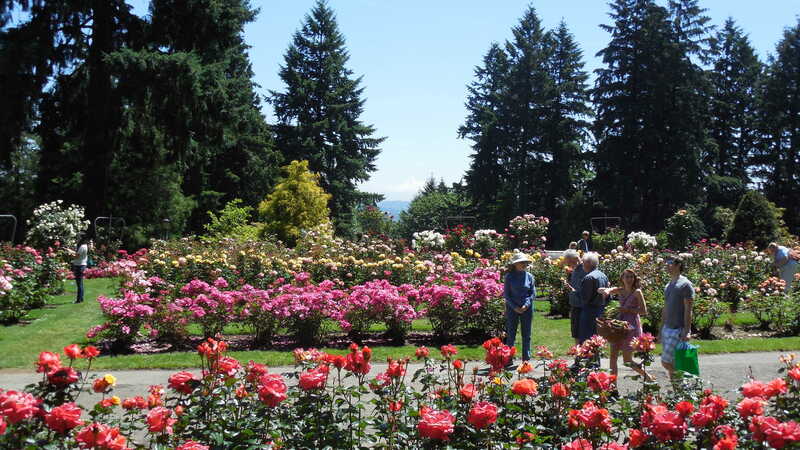 Tabor and the sprawling urban wilderness of Forest Park; and numerous visitor attractions. But the city’s eclectic and distinctive districts, with their cafes and markets, public art, plazas, myriad shopping venues, and lively night scenes, are attractions unto themselves. Downtown has the Cultural District and Pioneer Square, also known as “Portland’s living room.” Northwest/Nob Hill is where we strolled along a pair of streets ideal for window-shopping and café-hopping: Northwest 23rd and 21st avenues. Stop at Salt & Straw on 23rd Avenue for an ice cream – their list of flavors reflects the creative culinary spirit of the city. Expect the unexpected with flavors like pear with blue cheese and strawberry with balsamic vinegar and black pepper. 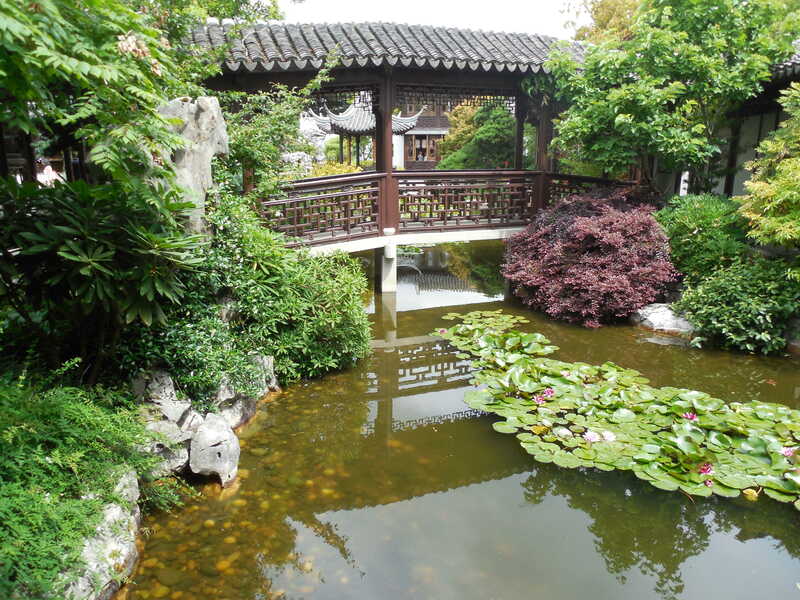 Be sure to visit Lan Su Chinese Garden in Old Town/Chinatown. This neighborhood also is home to the renowned Portland Saturday Market (open Sundays, too) and the always quirky Voodoo Doughnuts (famous for its Bacon Maple Bar), where there is often a line of hungry noshers out the door. The Pearl District has emerged from its industrial past to become a trendy dining and shopping zone, and it is home to Powell’s Book Store, the world’s largest – and arguably most famous – independent new-and-used bookstore. Plan to spend a few hours (as we did) exploring this extensive bookstore. Other neighborhoods we spent time exploring were Hawthorne and Belmont. Hawthorne is the long-time hub of Portland’s counter-culturalism, and both areas are teeming with trendy and quirky places to eat, drink, and shop. The neighborhoods also boast two of Portland’s famed food cart colonies, Cartopia at 12th and Hawthorne and Good Food Here on Belmont at 43rd, where we ate some delicious Thai food for lunch. Portlanders take great pride in the city’s menagerie of nearly 700 food cart eateries which have drawn raves from the likes of Bon Appetit and CNN. 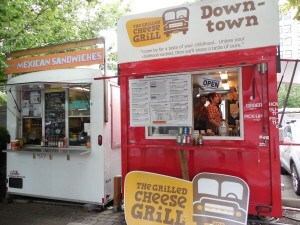 Typically anchored at fixed locations (as opposed to mobile food trucks) comprising “pods” or colonies, the food carts dish out innovative cuisine using high-quality ingredients at reasonable prices. Downtown pods, like the one at S.W. Tenth Avenue and Alder St., where we enjoyed gourmet grilled cheese sandwiches for lunch another day, are some of the city’s largest and longest-running, attracting lunch crowds from nearby office buildings. Many of the pods on the east side are open for breakfast, dinner, and the late-night bar crowd. 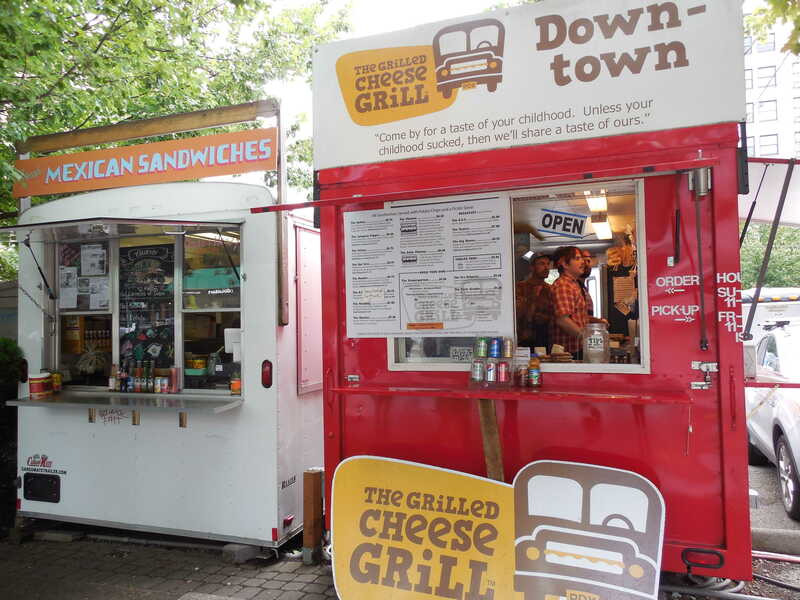 For more on the food cart scene check out the online Food Carts Portland guide. Portland’s restaurant scene, many of which are farm-to-table devotees, has a well-deserved reputation for cutting-edge culinary creativity. Food & Wine has named Portland one of the “best places to eat” in North America, and Time.com called Portland “America’s new food Eden.” Our dining experiences were top rate; we chose to eat dinner at two of the hotel restaurants where we stayed in downtown – the Hotel Vintage Plaza, a Kimpton Hotel, and the Heathman Hotel, a member of Historic Hotels of America. While some may frown at the idea of dining at a hotel’s restaurant, we found the three different pasta choices that we ordered in half-portions at the Vintage Plaza’s Pazzo Ristorante to be bellisimo, andthe Alaskan Halibut with local porcini and black truffle butter at the Heathman Restaurant was nothing short of outstanding. 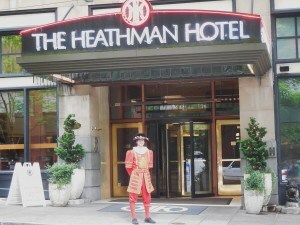 The Hotel Vintage Plaza and the Heathman Hotel, both conveniently located downtown on Broadway, provide accommodations and service of the highest quality, and both also offer some very enjoyable special touches. The Vintage Plaza, for instance, invites its guests to relax in its living-room styled lobby for a complimentary wine and beer social from 5:00 to 6:00 each evening. The hotel also offers guests free use of its bicycles, something that we took full advantage of one morning as we cruised our way along the Waterfront Bike Park and the Eastbank Esplanade, which offers great views of the Portland skyline, to the Springwater Corridor Bike Path making like true biking Portlanders. 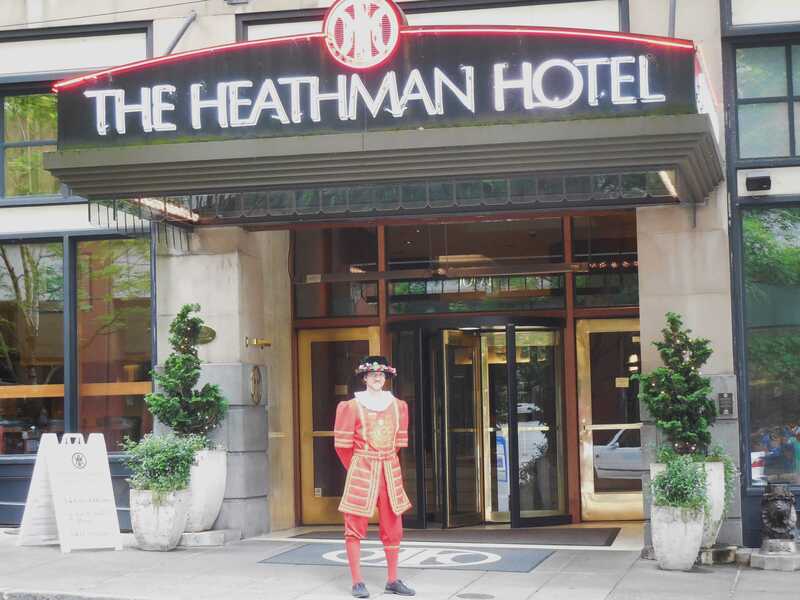 The Heathman also provides a complimentary wine tasting from 5:00 to 7:00 Monday through Thursday, but in a rather interesting venue – the hotel’s library located on the mezzanine level. 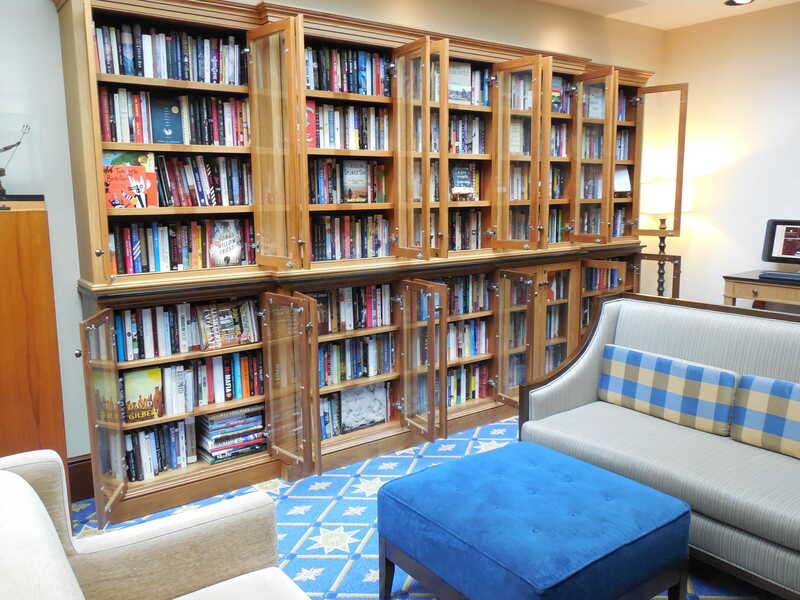 What makes this social hour so interesting is the fact that the “library” is comprised of a collection of books personally signed by the author. One stipulation for inclusion in this library is that the author must have stayed at The Heathman. We were fascinated by the extensive collection of more than 2,500 books, a veritable Who’s Who of literati including signed editions from Nobel Prize and Pulitzer Prize winners, U.S. Poet Laureates, and two United States Presidents. 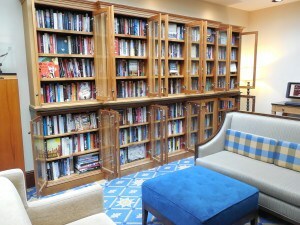 We enjoyed sipping a glass of a regional pinot noir while paging through the books to read the authors’ inscriptions, and were amazed when the librarian informed us that hotel guests are actually permitted to borrow any of the books during their stay at the hotel. Although we didn’t borrow any books, we were amused with the thought of spending an evening reading a book signed by the likes of Kurt Vonnegut or Bill Clinton. Another of Portland’s many nicknames is Beervana (some say this moniker actually refers to the whole state of Oregon), so named because of the city’s (or the state’s) numerous microbreweries. With 51 microbreweries within city limits, more than any other city in the world, Portland is arguably the new craft brewery capital of the world. Explore them on your own or take a guided tour with Pubs of Portland Tours or the Beervana Tour with Portland Walking Tours. Or for a more Portland-styled tour, hop on the 15-passenger, pedal-powered “bikes” operated by Brewcycle and Pedalounge. Portlanders’ desire for artisan drink doesn’t end with the fine wine and craft beer scenes. There are now ten craft distilleries in Portland creating cutting-edge and critically acclaimed spirits reflecting the same passion for quality and dedication to local ingredients as the many fine microbrewers do. A good place to begin exploring the distillery movement is Distillery Row, a collection of five producers in the Central Eastside neighborhood. And still another of Portland’s nicknames, Stumptown (originating from indiscriminate mid-nineteenth century logging in the area), lends its name to one of the city’s other liquid assets – coffee. Stumptown Coffee Roasters, which now has satellites in Brooklyn and Seattle, is the city’s most vaunted roaster. The city’s appreciation for exceptional coffee fits with its support of fine brewers, distillers, and vinters, as a wide selection of artisan roasters and coffeehouses can be found throughout Portland. So, whether it was some great food at one of the city’s fine restaurants or funky food carts, coupled with some fine wine or hearty brew, topped off with a perfect cup of coffee, we thoroughly enjoyed getting a taste of Portland – a taste that clearly establishes the city as “hip”. For a wealth of information about everything Portland, be sure to visit the website for Travel Portland – they’re pretty hip, too.